My advise: get the k-30 plus the 18-135 wr and it will cover probably 99% of your current needs according to what you mentioned in the OP. The k-30 is a newer k-5, with better autofocus and new processing algorithms. The K-5 is considered the best APS-C camera and I agree with that. Then, the K-30 is based on the k-5, which makes the k-30 itself also one of the best APS-C cameras. Don't buy a high-end P&S cameras if you really want to get into 'serious' amateur photography. DSLRs are a step further than any top of the line P&S and interchangeable lenses will give you all the flexibility down the road which P&S don't provide. With the Pentax you will get IBS (in body stabilization or shake reduction) built in the camera, so the lenses don't need to be stabilized for shake reduction. You get excellent dynamic range, very good low light performance, excellent color management, excellent results for an aps-c and a lot list of other neat features). It's the perfect camera for the amateur photographer who wants to have a tool that allows you some room to growth in the future. Also you can use all legacy lenses, which you can buy from $30 or $40 and up, on ebay, craigslist, or the local thrift store or camera store. I bought a Takumar 55mm, f2.0 manual focus, which I never get tired of using, for only $35. (I have another 10 manual lenses). Also, the lenses you mentioned DA 35mm F2.8 is excellent for your needs. The rants of people against Pentax are because the high-end users of Pentax feel they don't have a clear growth path in terms of body/camera for those with the budget and the interest to do Full Frame digital photography, (which I believe and the physics indicate gives a lot more IQ than APS-C). But APS-C already is an excellent solution for 'serious' photographers on a budget and it seems that Pentax is really committed to this market segment. cannot film. I don't care what DSLR makers advertise - but DSLRs just cannot AF while filming, which makes them unsuitable for most family videos (camcorders of even an iPhone are better). Oh, and most DSLRs record only MONO sound... in 2012! So what is my take here? you could also forget about a system camera and go for a superzoom. The ultimate image quality (IQ) will be less especially in lower light. But you'll be able to film with AF and motorized zoom. You never will have to worry about changing lenses and also never will have to worry about any dust entering the camera. if you want very good IQ in low light because you expect to do lots of low-light shooting then a DSLR or a mirrorless will be better. If this will be only occasional then a superzoom can do it too. if you will FILM a lot, then a DSLR is a big no-no. A mirrorless system might work but you won't be able to zoom while filming (it's very difficult to operate a manual zoom w/o shaking the camera, or else you need a tripod which makes it much less convenient). So a superzoom will be much more useful. if you want very precise AF then remember that DSLRs use a system based on making two different optical paths match, which can cause errors and need user adjustment. Whereas the AF system used by mirrorless cameras or superzooms is much more precise and also lens-independent. Remember you still have CDAF with a DSLR, you just simply swap to LV. It's usually not as fast but the times we prefer CDAF isn't usually times we need speed anyways. The best rule of thumb is, use PDAF any time you MUST have tracking speedy AF, and use CDAF whenever you shoot stationary. Some people only use one or the other just because of preference, but DSLRs still offer both which can't be said for mirrorless or SLT. and post my first pics (so you guys can laugh and say...he needed a 1200 buck system for that!? Which is what my wife will say.). Let's be clear about this - if you are a crap photographer you'll shoot crap whatever you use. If you have a good photographic eye you'll take good photos whatever you use. To that extent the kit you use won't make a lot of difference. Indeed, within its limits cheaper kit can produce results every bit as good as a DSLR (just look at Don's input here). But where the better kit comes into its own is when what you want to shoot is beyond the limits of the cheaper kit. You'll spend some time - weeks, even months, before you learn how to get that extra bit from your K30. A lot of the things you shoot won't even need it. When you post here you'll get C&C if you ask for it (or even if you don't) but most of it will be about how to squeeze that extra bit out. Even if you get negative comments, just use them as pointers about how to improve. Do you get that, and, can you appreciate that idea? DSLR is an experience no other camera can replicate and OP wants that. Why is that hard to understand? We appreciate you and Donald worry, but continue worrying for yourself and please stick to your powerzooms if they suit you. I sometimes, rarely, take my D7k Nikon on the odd hike in the mountains. most images are in no way superior to what I get with the superzoom. Rare, I repeat rare, exceptions include: difficult dynamic range; forests where light levels are typically very low. If you read my post, you will see that I mentioned that I own BOTH types: namely a (Nikon) D7000 DSLR with some decent glass (including an 85mm f1.4), and a couple superzooms. FACT is, the D7k is an INFERIOR photographic tool for most situations, and is much more of hassle to carry around, and cannot film if one assumes that filming involves the ability to keep things in focus. On the other hand, the D7k can be a great portrait tool when coupled with my 85mm f1.4 but that's a heavy bulky and expensive solution. And the D7k will be better in low light. And the D7k will be able to photograph action better (but I think it is more interesting to film it). So if anyone asks, does not already own a DSLR, and wants a fair amount of flexibility, then a DSLR is just NOT a good solution. You are free to disagree - but it is bad manners to just dismiss my opinion when it is based on actual experience. Your explanation reads as someone who needed a video camera and brought a DSLR. Subsequently your found the Dslr was not a video camera !! This is not really the fault of the equipment, You would also find a video camera would outperform your super-zooms for filming. If you want a camera to do what cameras do and extend a hobby in photography then a d-slr is still the IQ Vs price sweet spot. For you I suspect your dlsr is more ball and chain than joyous tool to further you skills. Thank you for your comments. Part of me wants to experience a dslr to learn more about photography. But another part of me doesn't want to spend the money (that part is called my wife). I lied when I said I was ready to buy. I a still torn and know that each individual needs to decide what is right for them. The #1 goal for me is to have better pictures of my daughter growing up. The secondary issue here is to explore this as a hobby. I feel like if I am going to invest in the m4/3 system I want a camera that competes with the dslr's. that means the mod or the gh3 which really mean significant money. More even than the k-30. I am considering the fz200. Although I am certainly not excited about it and think I will want a dslr a year down the road, I still think it would be a great camera for me and wouldn't cost extra money for lenses down the road. The OP sounds like he hasn't taken his decision yet, and from his aims I simply think that he will be much better served by a superzoom. 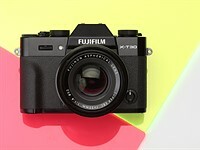 Or at the very limit, a mirrorless camera. Finally I said I had some experience, and this D7k has nearly 26'000 shots on the meter after 22 months of ownership - nearly matching the number of shots per year on my compacts or my iPhone but that's mostly because of regular portrait sessions with the kids where I will take several dozen shots of each child. The D7k is a nice toy but it suffers from various severe limitations because of the obsolete concept, is all. I personally will never buy another DSLR, and that's me with a tendency to photograph a lot, and the means to buy a D7k and an 18-200 and an 85 f1.4 etc. I want something smaller, lighter, with faster AF, and more precise AF. And if sometimes I want to film, I want films with AF and stereo sound because this is 2012 not 1970. If portraits of your daughter are the main goal among your many goals, then you will probably be best served by a simple DSLR, possibly 2nd-hand, and a f1.8 lens, ideally an 85mm. I think brands don't matter much. As a Nikon owner I quickly check on Amazon and see that the D5100 costs $550 bod only. Or you can get a D3200 with 18-55 for $650 but kit lenses don't deliver photos that look much better than what compacts deliver. then the Nikkor 85mm f1.8 lens costs $500.- (yes it's a lot but my 85mm f1.4 cost me $'1800...). Or you can get a 50mm f1.8 for $220.- which will also give you good portraits but less great. Or go Canon, they have an 85mm f1.8 for $370 and you can couple this to whichever body suits your needs. If you go reasonable on the DSLR body (lowish-end or 2nd hand) and get a decent portrait lens, hopefully you'll have enough money on the side to get a nice pocketable superzoom that will be the tool for 95% of the occasions. Scott, have you played around with the Studio Comparison Tool on this website? I think you can get a feel for the answers to your questions spending a little time there. Plug in the K-30 as your baseline camera and then select others for comparison. Just for fun a moment ago, I compared the K-30 to the Panasonic FZ-150. Click around on the image to get crops of particular segments. You'll see good results for the FZ-150 at ISO 100 but change the ISO to 800 and the differences between cameras start to become more dramatic. Have fun! hope your ready. here are some comparisions d7000 +$7000 lens 300 2.8vr11 and my k7 with tamy 300 70 the k7 shots are cropped at about %500 these boats are 5klm away hope this helps or just confuses you more. its not about imagequality anymore so forget that before i brought mine i whent to IR site and downloaded files and printed them at a2 between the k5 and the fz150 at different iso and could not tell the difference. The first 2 sets of pics make the D7000 a clear winner over the Panasonic. Sure for pure sharpness maybe there's no difference. For what I would try to do with a pic - selective DOF - the Panasonic doesn't seem to allow you to do so in those conditions. Bright sunlight... no problem for the Panny. Get into lighting that requires something like ISO 800 and higher and the differences become obvious. Yes you are right the fz150 at iso 1000 has less noise than the k7 at iso 800 and retains more detail. But I'm not here for that I have plenty of pics to prove that but it will only fall on deaf ears been their done that, the op wants a learning experience and an slr will give him that.